Incorporated in 2006 and based in Geneva, b-Sharpe is a fintech startup providing currency exchange services at a lower cost – an average saving of 70% compared with traditional exchange services providers. The company aims to make currency exchange cheaper and more accessible to customers. A financial intermediary auto-regulated under the supervision of the Swiss Financial Market Supervisory Authority (FINMA), b-Sharpe targets small and medium-sized enterprises (SMEs), expats, migrant workers and frontier workers in Switzerland seeking to exchange currencies at a better rate. The platform provides real time foreign exchange executable and deliverable rates, meaning that your currency needs will be executed the closest to the market possible with the most transparency. Transfers in EUR and CHF as well are free of charge for bank accounts in Switzerland and in the European Union (SEPA) and users are insured against fraud and hacking of up to CHF 1 million thanks to a unique and free insurance contracted by the company. Serving over 2,800 clients, b-Sharpe has been growing rapidly, doubling its user base every five to seven months, Jean-Marc Sabet, CEO & Founder, told Fintechnews. The company now processes more than CHF 20 million worth of transactions on a monthly basis and supports over 20 global currencies. b-Sharpe intends to grow even quicker thanks to a digital identification service. 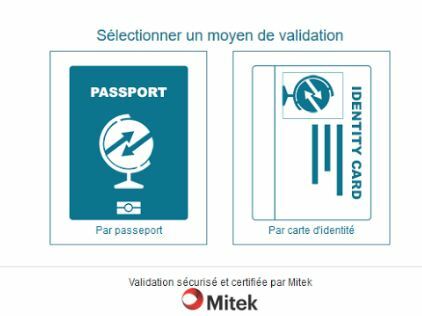 This service, integrated in the customer account and based upon a technology that recognizes and analyses the ID from a picture shot with a smartphone or a scan, will make the onboarding of clients simpler and smoother. This service is currently on beta-testing with real clients and will be live on the forthcoming days. Jean-Marc Sabet said that b-Sharpe’s short to mid-term objective was to become the leading currency exchange Fintech service in Switzerland for SMEs and individuals. In Q3’17, the company plans to launch a mobile app that would allow customers to exchange currencies on their smartphones. B-Sharpe is one of the numerous fintech startups in Switzerland that are leveraging digital platforms to disrupt traditional finance, cutting out banks from a substantial part of the process. For SMEs, another service available is Amnis Treasury Services, an innovative startup that provides a peer-to-peer forex marketplace for Swiss businesses. This model also allows for reduced costs and administration time for clients. 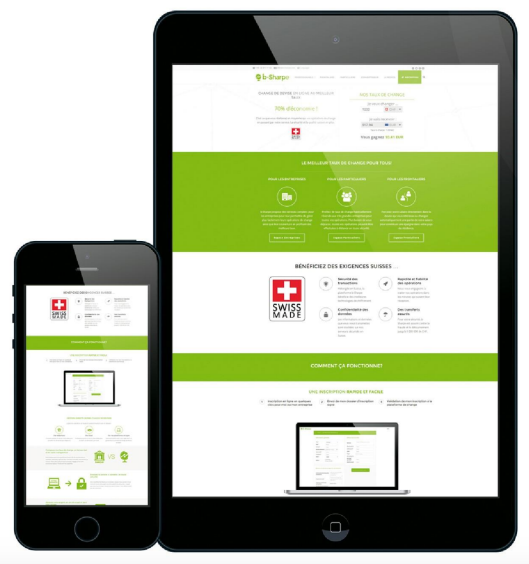 Other Swiss startups offering foreign exchange services include ExchangeMarket.ch, an online exchange office specializing in the exchange of EUR and CHF at the lowest possible real cost and Telexoo as well. On Monito, formerly Tawipay, which specializes in remittances, you can find a fee comparator. b-Sharpe and other non-banks shows up there many times as the cheapest way to transfer money.